The adventure begins when riders turn off from the island's coastal road and follow a narrow wooded track into a lush inland valley. Here, horses graze and tropical fruits grow in groves that sit next to the forgotten remains of ancient Polynesian kingdoms. The scene changes as the road turns into a dirt track and begins a steep climb into the highlands. The views get bigger and bigger as riders approach the summit, which offers sweeping 360-degree views of island and ocean. On the way back, there's time for stops to taste fresh-grown fruits, discover the island's forests and take a refreshing dip in a jungle river. 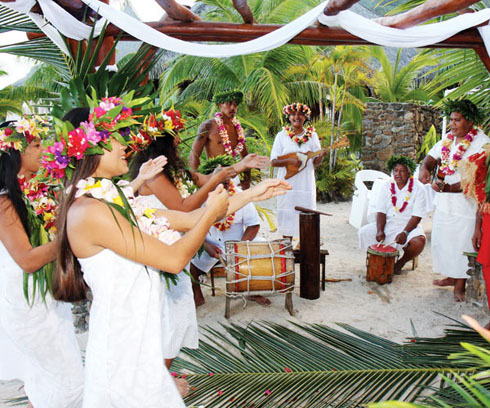 Tours of the island of Moorea originate on both the east and west coast of the island. Routes follow the coast for several miles, and then turn inland into valleys dotted with pastures and pineapple groves. After fording small rivers, the path steepens as riders climb towards elevated lookouts high in the mountainous interior. The quad vehicles used by tour operators are stable and easy to ride. Those who would rather not drive can double up or opt for a Jeep tour. There will be plenty of stops at points of interest that include cultural and historic sites, farms and a jungle swimming hole. From Belvedere Point riders can take in commanding views of Mont Routui, plus the two bays and three peninsulas of Moorea. Even bigger views unfold at the summit of Magic Mountain, which provides a 360-degre panorama of the island and lagoon. Hidden among fields and forests of the Opunohu Valley is the archaeological remains of ancient villages. Riders can enjoy fresh juice drinks at the pineapple plantation. Skip the sandals and short shorts and bring sturdy shoes and pants that offer some padding. Stow a few essentials such as sunscreen, a camera and a towel in a small backpack that you can wear. Sunglasses will increase safety and comfort when riding. 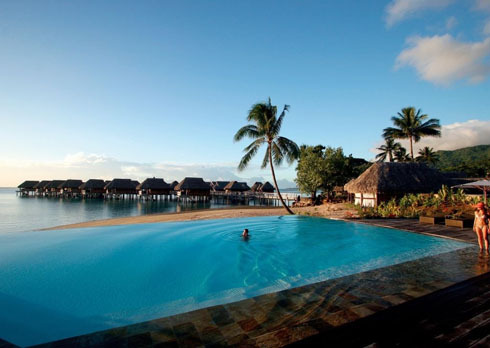 BORA BORA - CARADONNA RECOMMENDS includes 6 nights garden pool bungalow accommodations, one-day Combo Tour four wheel drive and Motu Leisure tour including lunch, one-half-day hiking in the Valley of Kings on Ancestors Path, one day dive for your Tahitian Black Pearl, breakfast daily, roundtrip airport transfers, hotel tax and service charges. Valid 4/1/19-5/31/19 & 11/1/19-11/30/19. 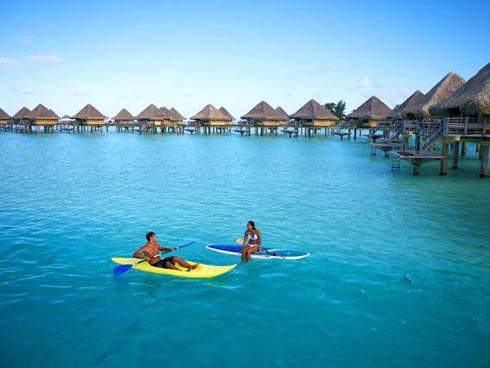 BORA BORA - CARADONNA RECOMMENDS includes 6 nights Garden Bungalow accommodation, one-day Combo Tour four wheel drive and Motu Leisure tour including lunch, one-day hiking in the Valley of Kings on Ancestors Path, one day dive for your Tahitian Black Pearl, breakfast daily, roundtrip airport transfers, hotel tax, and service charges. Valid 4/1/19-5/31/19 & 11/1/19-3/31/20. MOOREA - CARADONNA RECOMMENDS includes 6 nights Garden View Room accommodations, Moorea Quad SSV Guided Tour from East Coast, Cooks Bay (duration 3.5 hours), The Tiki Theatre Village includes Tahitian Feast at the Tiki Village : Show & Dinner - 4 hours roundtrip, Hiking Getaway at Afareaitu's Waterfalls (Moderate level) - Half Day, airport transfers, hotel tax and service charges. Valid 12/1/19-3/31/20. Add $47 per person for travel 4/1/19-6/30/19 & 11/1/19-11/30/19. 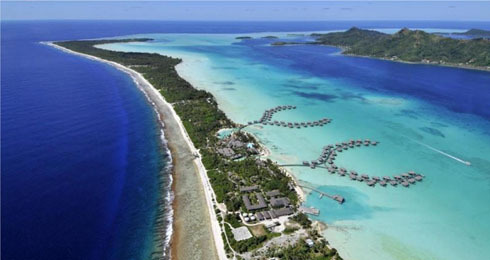 BORA BORA - CARADONNA RECOMMENDS includes 6 nights Beach Junior Suite Bungalow accommodations, one-day Combo Tour four wheel drive and Motu Leisure tour including lunch, one-day hiking in the Valley of Kings on Ancestors Path, one day dive for your Tahitian Black Pearl, roundtrip airport transfers, hotel tax and service charges. Valid through 12/19/18 & 1/4/19-3/31/19. 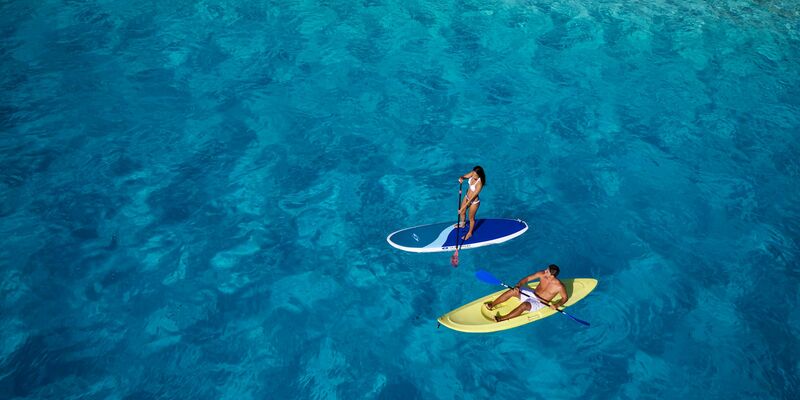 Add $273 per person for travel 4/1/19-5/31/19, 11/1/19-12/19/19 & 1/4/20-3/31/20. 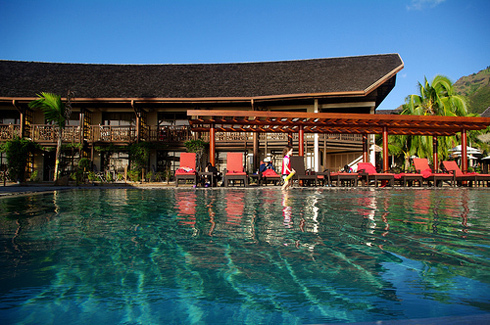 MOOREA - BUILD YOUR OWN PACKAGE includes 6 nights Garden View Room accommodations, breakfast daily, roundtrip airport transfers, hotel tax and service charges. Options to add-on Offroading Tours, Cultural Tours and Shows, Hiking Tours and Spa Services. 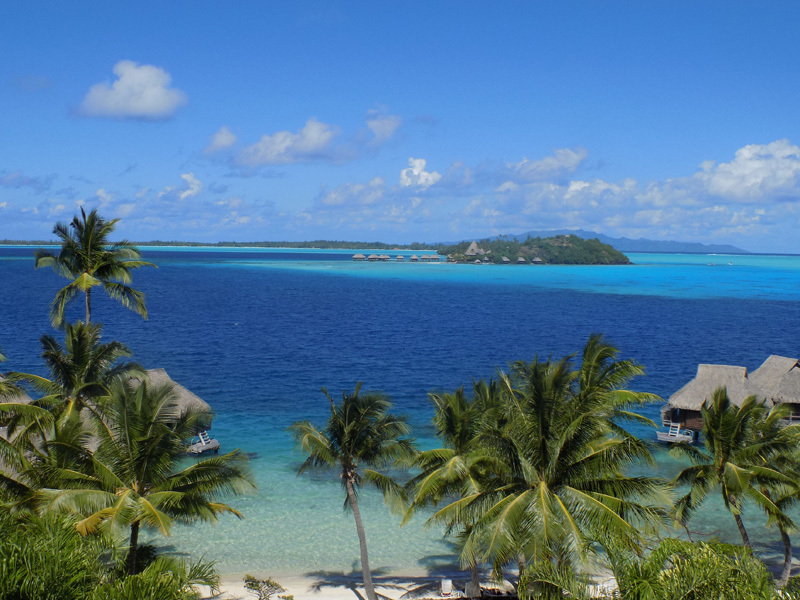 BORA BORA - Beachfront privacy on dazzling Matira Point - the InterContinental Bora Bora Le Moana Resort occupies what most people say is the most beautiful site in French Polynesia. 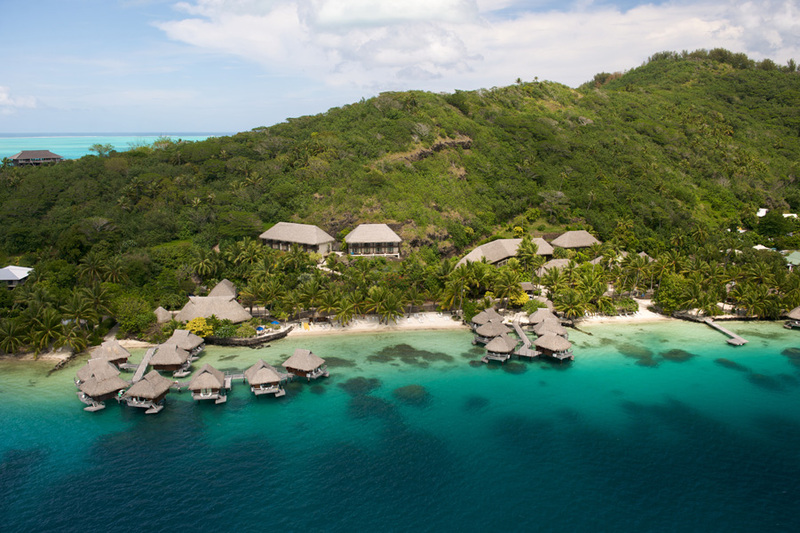 Two white sand beaches, a wide array of water sports, intriguing cultural activities and unique bungalows stationed over the water are the ingredients for the ultimate island escape.